So many great ideas, so little time to create. Who knew you could make a large HST then cut down for smaller units? Brilliant idea! The more I read, the better the book sounds! 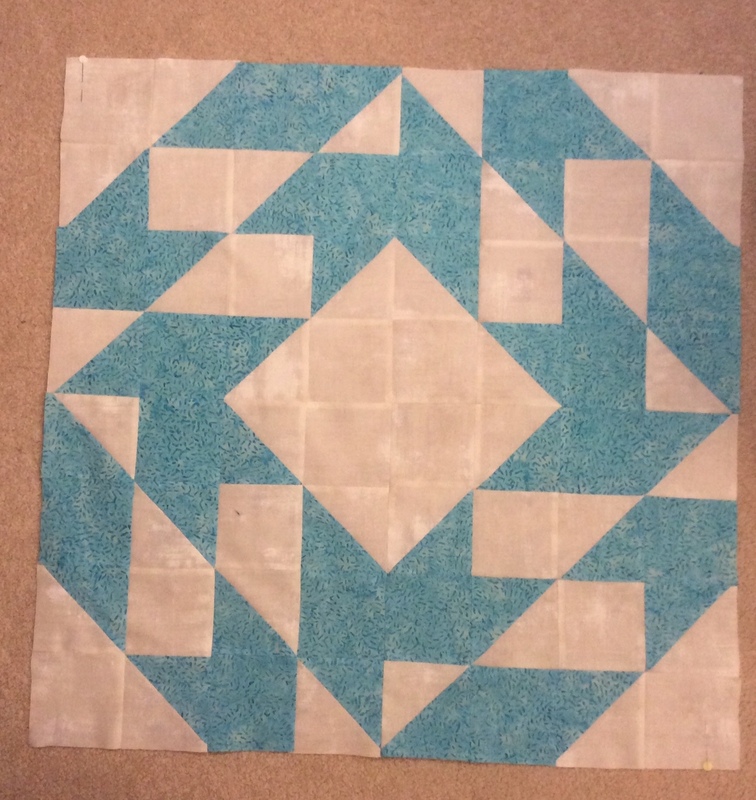 I like your big block baby quilt idea, it's lovely! 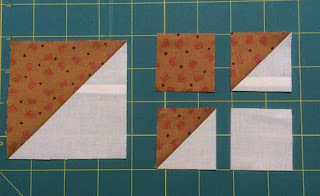 HSTs are so versatile and the patterns in this book just take them to the next level!! Love your big block!! I love how easy it is to change up! I've made Teresa's Four Seasons of the Heart pattern and it's a great technique! Thanks for showing your version. Lots of options to use the block selected. That's interesting on how the big half-square triangle blocks are cut up. I can't wait to get a copy of the book. 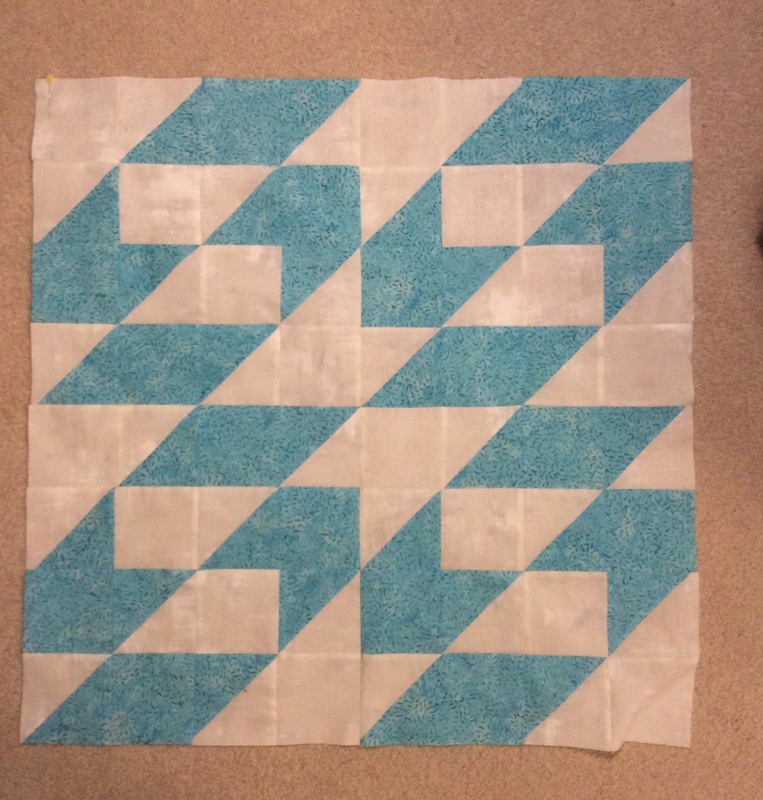 Half square triangles are so versatile. Such fun to turn and mix. Your top is great. Beautiful color of blue! Thanks for sharing. Interesting block. So versatile. 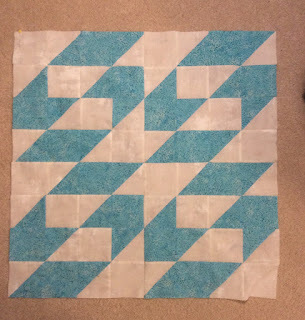 Great baby quilt! I love the look of your Swirl block. Isn’t it crazy to think that cutting up a block can result in something so pretty. Thanks for being part of the hop. I love seeing what everyone is doing. Thanks for a great reminder to read those directions carefully, I am so guilty of thinking I know it all already! 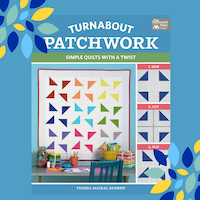 I love quick quilts for charity, and this book fills the bill. Thanks. Looks great. Sometimes a "mistake" creates a wonderful project. Wonderful block. Book looks great to help with my stash. Thanks. I love how the block changes when the pieces are turned! They must be so much fun to play with! 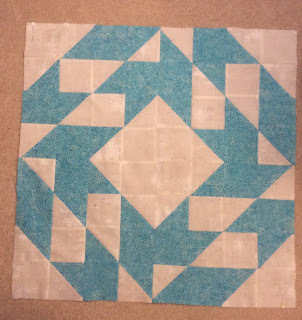 The turquoise blue color is fabulous in this block!